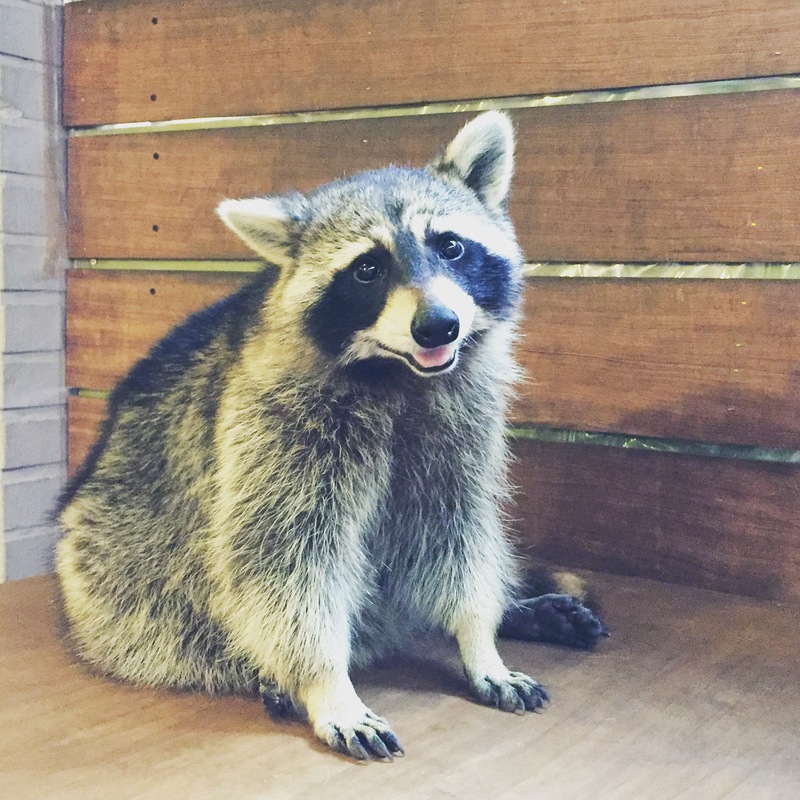 Do you think of Racoons as those pesky critters who dig through your trash?! 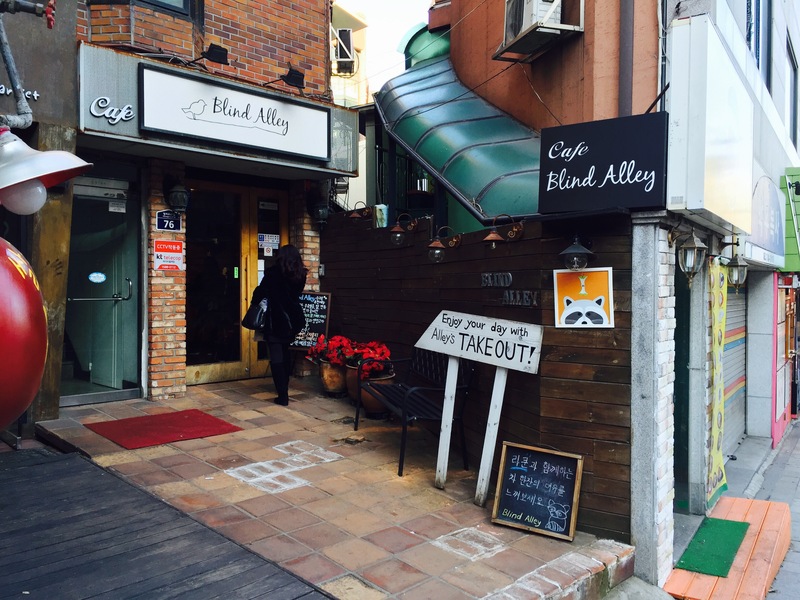 Well here in Korea, one woman has 2 as pets and she has her own Cafe where you can sip a nice espresso and then go into the playroom to feed, pet and interact with her little furry friends. 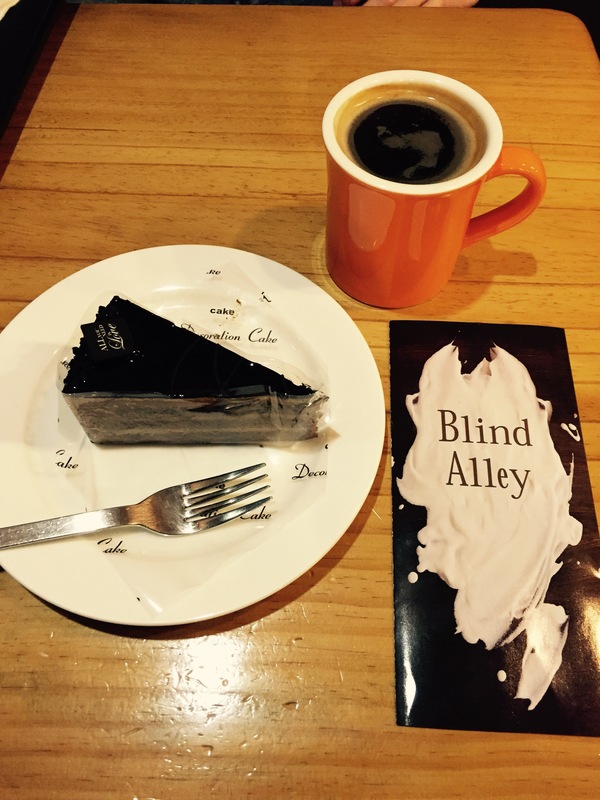 Welcome to Blind Alley Cafe! 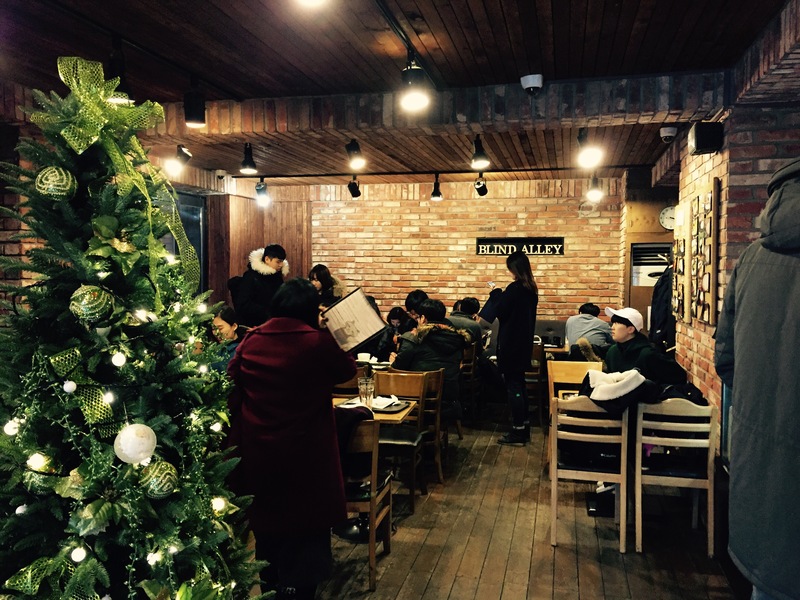 The cafe is located in the Sookmyung University area and short walk from exit 9 of the Sookmyung University Station. The cafe is quite cozy inside and they have a large variety of offerings. 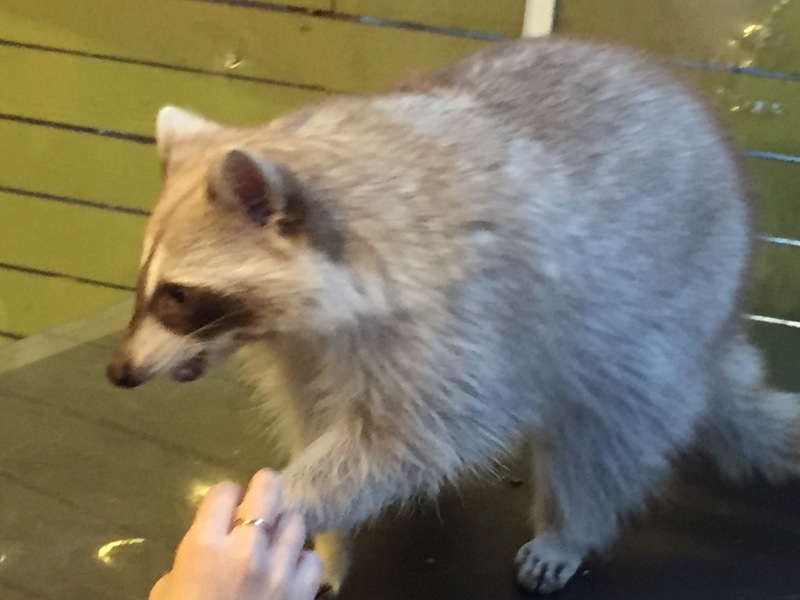 With the purchase of a beverage or snack, you can see and play with the Racoons at no additional cost. 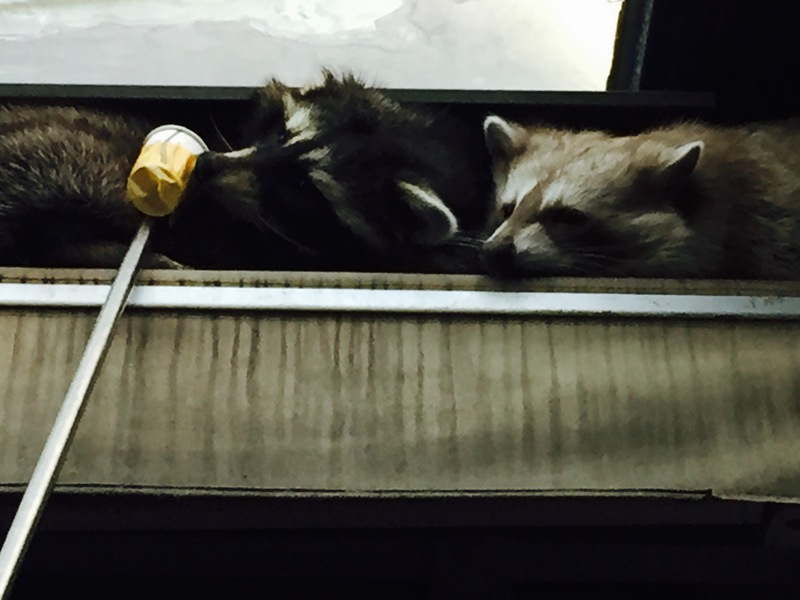 If you want you can purchase a snack cup for the Raccoons. We thought everything tasted pretty good, but let’s be honest, I was there for the Racoons not for the noms. 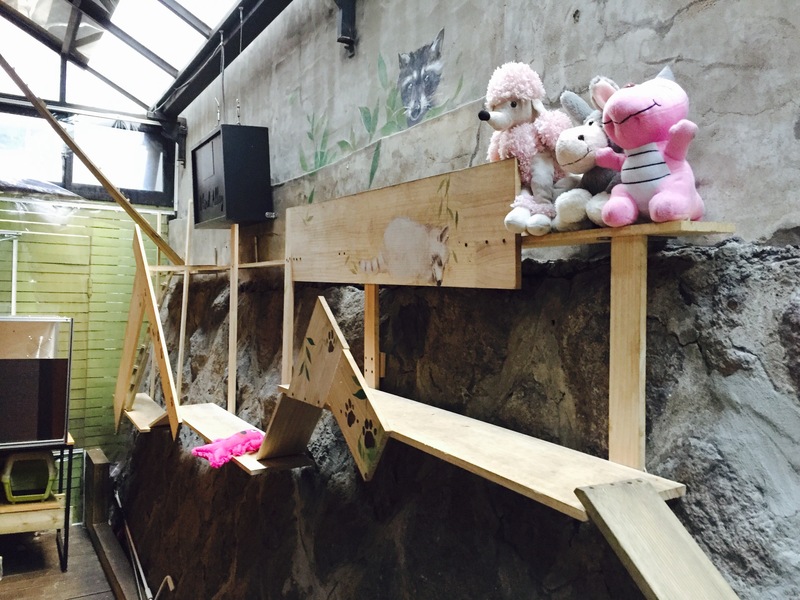 The playroom is located in the back of the cafe. Be careful not to let any of them out when you enter. And here are the two stars of the show! 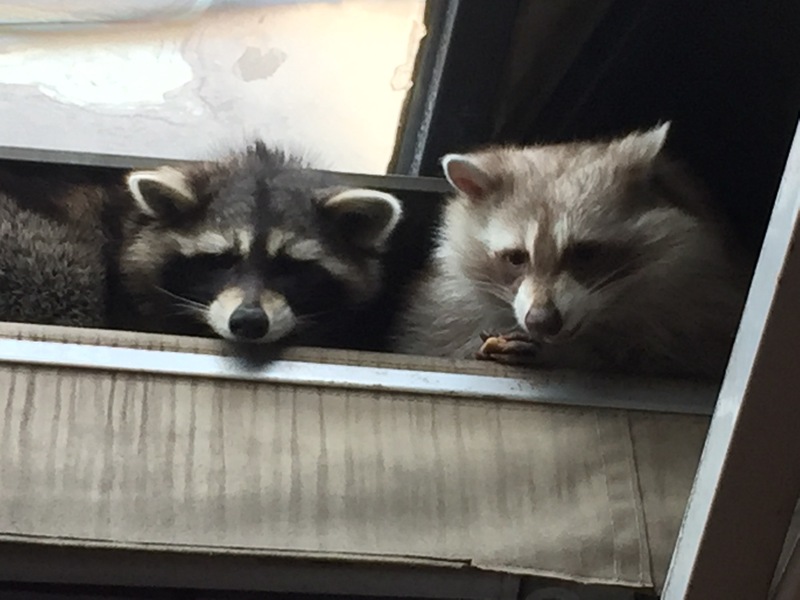 They were up in the rafters when we first got there, and the workers coaxed them down with a cup full or treats. This is their obstacle course. 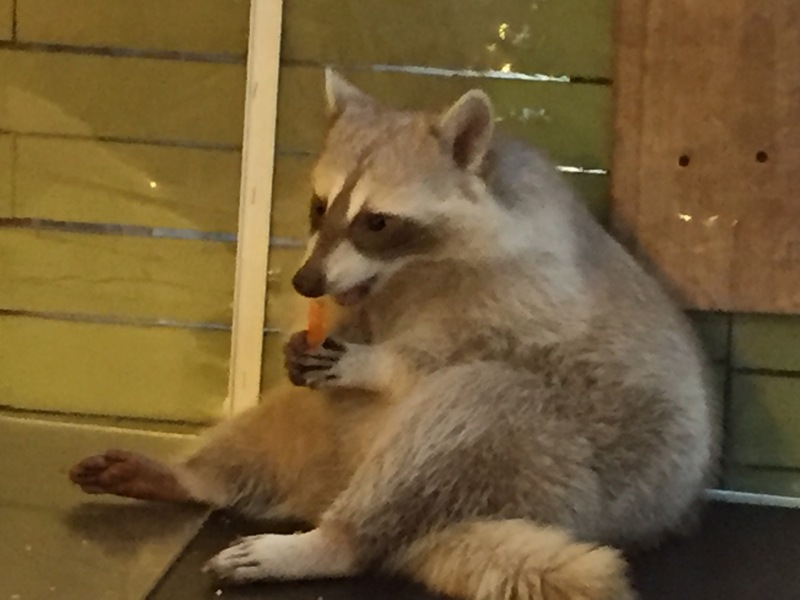 And here is one of them snacking on some dried fruit someone purchased. Here’s a photo of them with their Mom. They were sooooo excited when she came in. 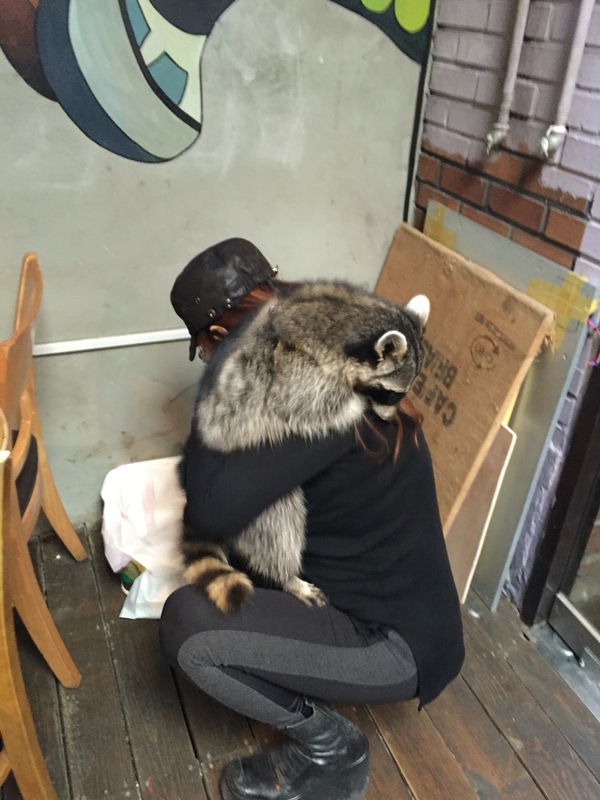 Overall it was a fun experience, I always love communing with animals of all shapes, sizes and species. If you’re in the area, don’t forget to stop by for a visit!